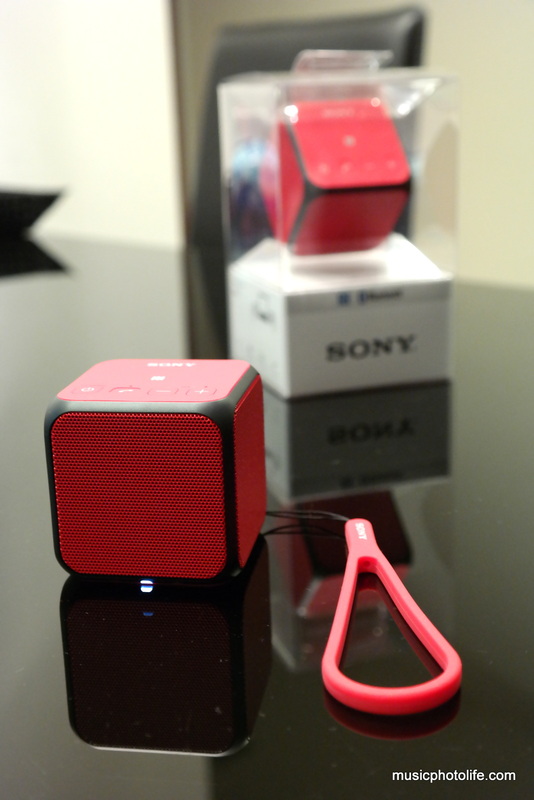 The new Sony SRS-X11 is a small cuboid speaker with a single 10W driver and 2 passive radiators. 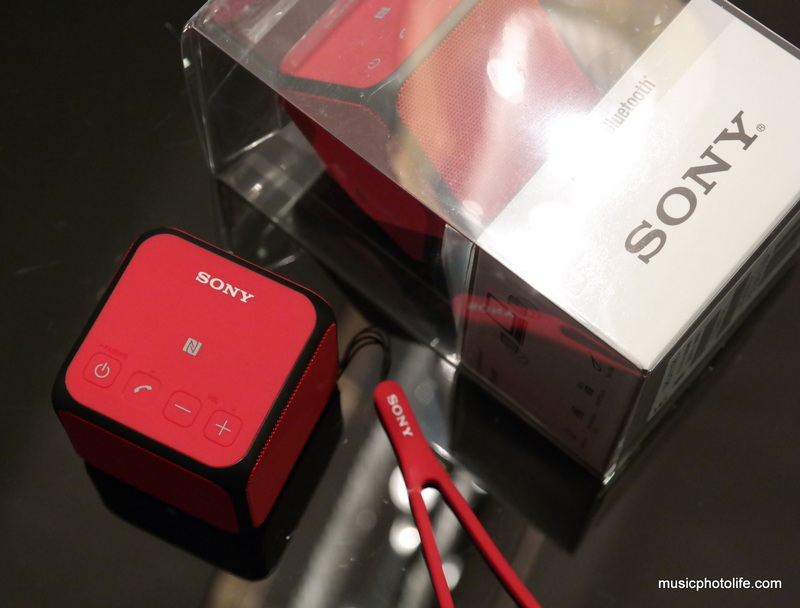 It comes with multiple connectivity options like NFC pairing, Bluetooth, 3.5mm audio-in, speakerphone. On its own, the X11 can only produce mono audio, but it can be paired with another X11 and support stereo as well as double mono. 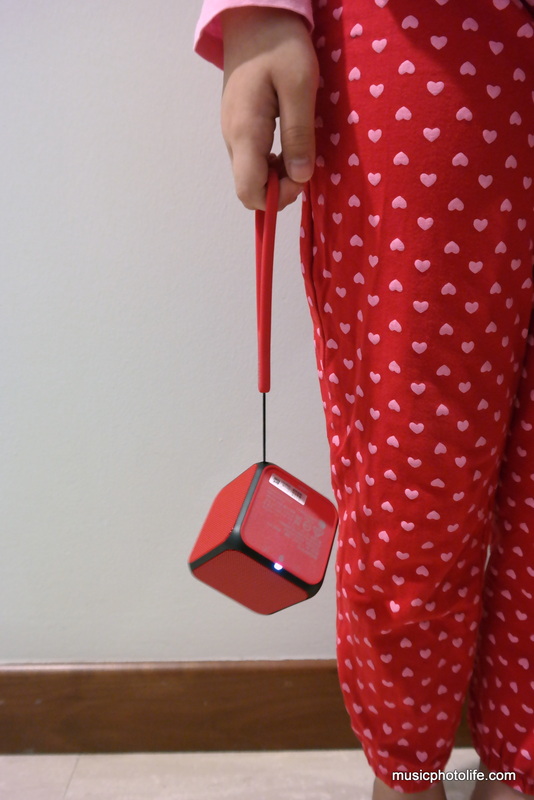 It comes with a silicon strap, which makes it look like a fun carry-along speaker that you can hang around your house, your bag, or your wrist. But it does not appear rugged with its rubbery coat. Neither is it rated for any water resistance. On it’s own, the X11 produces audio with warm mids. The treble lacks clarity but is expected, though I can still brighten the treble with EQ. There is presence of bass kick but lacks the definition, and no EQ can make me extract the oomph. 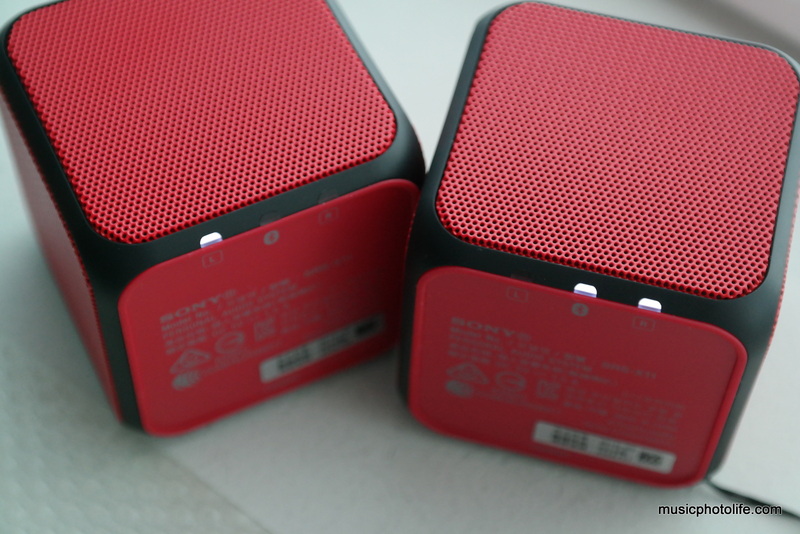 Compared to other brands that can connect 2 identical units, the X11 is able to change the pairing settings from the unit, when others (like UE Boom) require an app. Once you have setup the 2-speaker pairing, the LED at the bottom of the X11 indicates the L/R speaker channel. Press the “Add” button to toggle the channel, between left, right, or double mono. Another interesting feature about the pairing is that you can control the volume from either X11 unit. And, when you turn off one unit, the other unit also turns off automatically. You still need to turn on both units manually, but once you do the re-pairing is relatively instant, which is indicated when the LED changes from flashing to solid. However, the moment you plug a 3.5mm cable into the Audio In port, the pairing is disconnected, and you have to manually re-pair them again. Playing with 2 units of X11 naturally gives you double the volume, but other than providing a better stereo sound, the audio balancing remains mid range heavy. I find the SRS-X33 a lot better sounding and satisfying. When compared to UB+ Eupho, another portable speaker with BuddyStereo mode, the Eupho produces clearer treble and deeper bass. 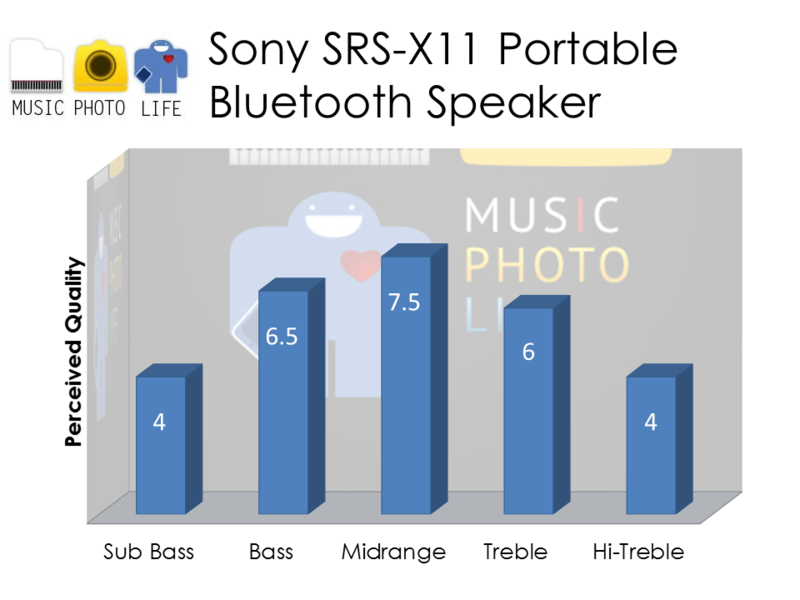 The SRS-X11 retails at S$99 in Singapore at all Sony authorised retailers. 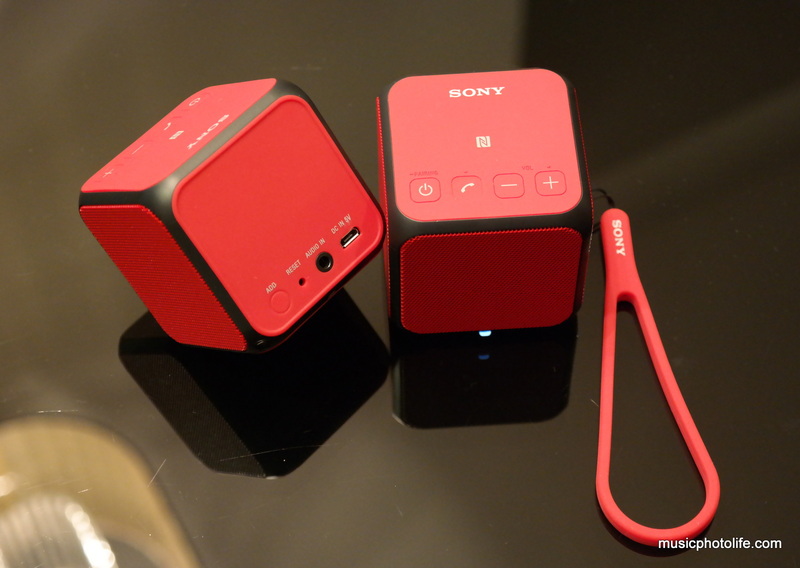 Pingback: Sony SRS-X55 Portable Bluetooth Wireless Speaker Review - Music.Photo.Life.